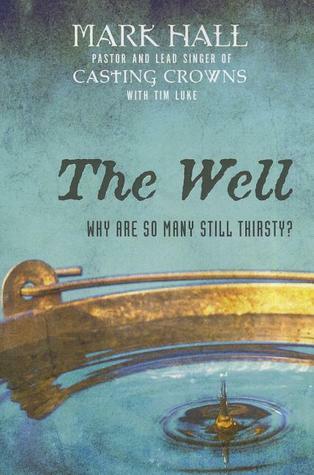 Review:The Well by:Mark Hall w/Tim Luke | A Simple Life,really?! Why are so many so close to the Well and still so thirsty? Mark Hall takes the powerful story of the Woman at the Well and her encounter with Jesus to help readers understand that the ‘wells’ we go to for life and sustenance, the ‘wells’ of success, talent, control, favor, religion, etc., are keeping us from relying on Jesus and his abundant life, and we will never be truly satisfied until we realize that and go to Him for our needs. Mark Hall the lead singer in one of the best Christian bands of all time, Casting Crowns has written a very raw and very real book on a closer relationship with the Lord and how the closer you walk with Him it changes your life in so many ways. He took his thoughts on many of the thoughts and commands of the bible and told us his thoughts. it was a very good, open book that can really give you a more thorough understanding of the Christian walk.